This is a history of representations of American Indians in Jewish literature and popular media. In ""Members of the Tribe: Native America in the Jewish Imagination"", author Rachel Rubinstein examines interventions by Jewish writers into an ongoing American fascination with the 'imaginary Indian'. 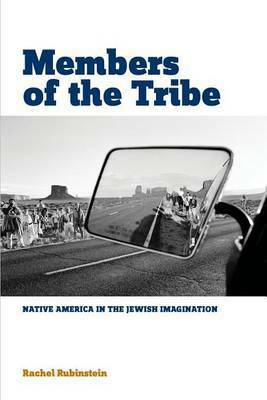 Rubinstein argues that Jewish writers represented and identified with the figure of the American Indian differently than their white counterparts, as they found in this figure a mirror for their own anxieties about tribal and national belonging. Through a series of literary readings, Rubinstein traces a shifting and unstable dynamic of imagined Indian-Jewish kinship that can easily give way to opposition and, especially in the contemporary moment, competition. In the first chapter, 'Playing Indian, Becoming American', Rubinstein explores the Jewish representations of Indians over the nineteenth century, through narratives of encounter and acts of theatricalization. In chapter 2, 'Going Native, Becoming Modern', she examines literary modernism's fascination with the Indian-poet and a series of Yiddish translations of Indian chants that appeared in the modernist journal Shriftn in the 1920s. In the third chapter, 'Red Jews', Rubinstein considers the work of Jewish writers from the left, including Tillie Olsen, Michael Gold, Nathanael West, John Sanford, and Howard Fast, and in chapter 4, 'Henry Roth, Native Son', Rubinstein focuses on Henry Roth's complicated appeals to Indianness. The final chapter, 'First Nations', addresses contemporary contestations between Jews and Indians over cultural and territorial sovereignty, in literary and political discourse as well as in museum spaces. As Rubinstein considers how Jews used the figure of the Indian to feel 'at home' in the United States, she enriches ongoing discussions about the ways that Jews negotiated their identity in relation to other cultural groups. Students of Jewish studies and literature will enjoy the unique insights in Members of the Tribe. Rachel Rubinstein is an assistant professor of American literature and Jewish studies at Hampshire College in Amherst, Massachusetts. She serves on the editorial board of Prooftexts: A Journal of Jewish Literary History and most recently co-edited Arguing the Modern Jewish Canon: Essays on Literature and Culture in Honor of Ruth R. Wisse.